My morning started early as it was my first play session which I was going to attend in Mankhurd, Maharashtra as a Toybank intern. Freshening up, the thoughts went across my head about what I would be witnessing and observing. Yes all of us want to make a change, but it’s imperative to understand the grassroot level at first. I met the field officer and had a few exchanges with her on my way to the center. She explained to me the nuances of the center and the background of the students housed in the shelter home. She gave me a quick idea about the agenda of the session and briefly discussed the progress such that it would be easy for me to gauge the proceedings. I entered the center under Project Chunauti TISS and I was welcomed by the lush greenery, the playground full of kids and classrooms. We entered one of the rooms where Marathi lessons were going on and as soon as we came, we were immediately recognized and asked to start the session. There were a total of 7 kids who were involved in the play session and to our surprise, they willingly brought games from their storage area. I observed that there an array of games and the field officer quickly segregated it as per the child. Amongst the cohort, 2 kids were observed to be at the basic stage and thus were given the primary games like building blocks to start with. These 2 were observed to be slow in thinking process and thus with time difficulty level was increased in the same category of games. I kept the cheat sheet of words in front of the kid and asked him to match the picture with the spelling which took him no time. Next round was with spell- voices where the kid had to listen my word and formulate the spelling. This took him a little time but he did it at the end. This showcased that he could pick concepts very fast and was eager for appreciation at every step. Next was the memory game, I played with him. There was a stunning observation made here. This child, had managed to oversee the entire square of 25 tiles and knew atleast 50% of the pairs by memory. I myself couldn’t gather so much memory. This was showcased when he scored double the points I did when I played the game with him. He enjoyed the game when he felt he was acing it and truly got all the appreciations from the fellow children. He also lended a helping hand to his fellow friends when they got stuck with any game. That was a pleasure to see. With this the session ended and I helped the field officer to check the stock of the toys which we had kept in the shelter home. It is truly said that children learn and grow with games. Games offer a whole world of childhood . Not only does it bring nostalgia and friendship, it also resolves the worries you may have! Aftre a quick lunch, I was looking forward eagerly the second play session of my day more because I heard that another volunteer- Marie and Ms.Madhulika would be joining. The session was located in Mankhurd and was named ‘Naveen Balgrah’.I got a quick overview about the center and the progress details. Ecstatic as we 4 were, we put the the agenda for the session and broke it into 2 portions- activity and games. Madhulika explained us to observe every issue through the root cause and frame the activity in that manner. 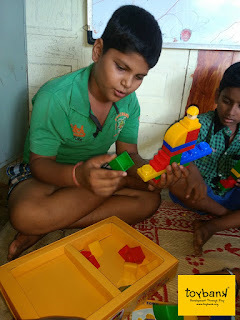 Thus we came with the game ‘I am Special’ with an intention of making the kids understand about themselves and make them feel special inside and outside. When we made the announcement in the class for the session, we observed all but two kids eager to attend. When we asked the 2 kids, why they were not ready, they quickly nodded and said that they want to paint. We urged them to participate in the the game session nevertheless. We explained the rules for ‘I am Special’ and I would say it was an organized chaos when the kids played it for the first time and were clueless about special things they could say. Thus we now gave them examples and asked them to delve deeper into their thought process so that that could understand the inner self better. We were now surprised to see that the children were opening up and were learning new things about each other. When we collated the learnings about the event, the kids remembered about other stories and strengths. There was a kid- duo who could tell about each other better than they told about their own self which showcased the amount of bonding and thought process that they had. Leanings of this session was sweet and we discussed the feedback with the children. We made them understand what ‘passion’ means and why they are who they are. There was surely an air of specialty around. Next was the hour of session, all children were eagerly waiting for- the game session. 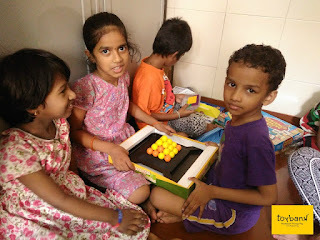 Groups were made of 5 children and there were games- Spell Master, Memory, Puzzle games, Dog and the Bone, Double shot, Pyramid Blocks Abacus which were distributed. They were told to mingle with unknown friends to increase the unity. It was observed that these kids were not aware of many games and needed us to teach them. But when we tried to teach them, they were very quick to pick up. Occasional fights amongst the groups were resolved where we gave them tips and tricks on good manners. We demonstrated acts of good and bad and showcased small snippets to bring to the table the goodness. It was chaotic, but kids had real fun away from their regular chores. Post the session, we had a gathering where we discussed the dos and donts of a session and identified leaders amongst the gathering who would be responsible for the know how of the games and for silence. The children agreed and readily took up the responsibility. Our points were well understood and they bid us farewell post the session. When we sat down in the lush greens on a bare chair, moments of truth and reflections struck us. Many a times we don’t know what we are and its imperative to feel special. It is important to know ‘why’ before the ‘what’ and thus we discussed on the possible activities to be done around this aspect. 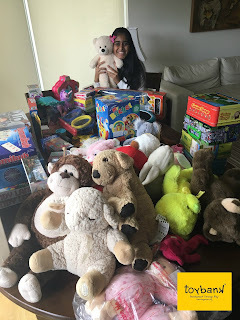 All in all, an afternoon spent in goodness of toys, laughter and fights was not only fruitful but also rejuvenating as it gave me a new perspective to see life.